I think that I have had an overdose of GE blogging. I'm going to take a break now and write about other stuff instead. So far, 2011 has been quite a pleasant year for me as a writer. I have hardly written anything new, yet my older works keep getting featured in new publications. 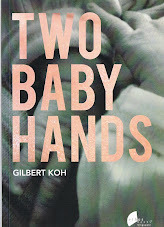 This year, I appeared in a new anthology - & Words: Poems Singapore and Beyond, edited by Edwin Thumboo. I understand that the Education Ministry has recommended / approved this book for use in Singapore schools, as a literature text. 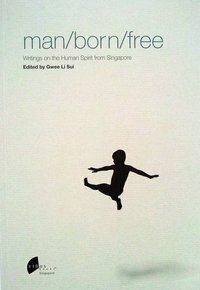 I also appeared in Man/Born/Free: Writings on the Human Spirit from Singapore, edited by Gwee Li Sui. This collection of short stories and poems contains some overtly political themes, and it's safe to say that it will never be approved by the Education Ministry. It's a pity, because this anthology contains works from some of the most-acclaimed Singapore writers over a period of almost 60 years. Featured writers include Catherine Lim, Kirpal Singh, Lee Tzu Pheng, Boey Kim Cheng, Alfian Saat and Alvin Pang. (Interestingly, it also includes writers like Edwin Thumboo, Tan Jin Quee, Said Zahari, James Puthucheary and Elangovan. The common factor among these writers is that at one point or another, they had been either been arrested or detained without trial, for their political beliefs, or their works had been banned). (For example, Said Zahari is the same Said Zahari who was formerly the editor-in-chief of a newspaper, and an advocate of press freedom. He was detained under the ISA for 17 years without trial). Anyway, political or not, you can buy the book from Kinokuniya or Select Books, or directly order it online from the publisher, Ethos Books. Oh, and just yesterday, I received my free copy of Gazing at Stars, a new book published by Oxford University Press. 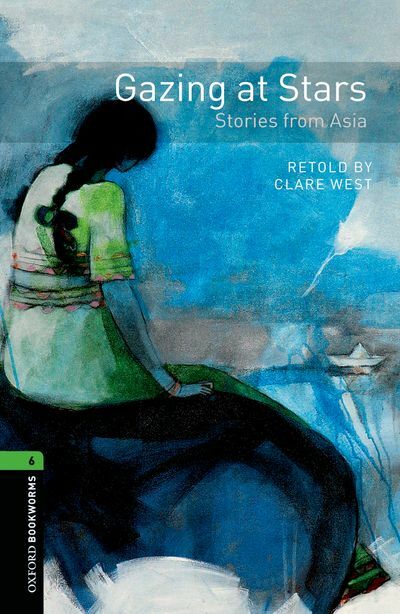 This is a collection of short stories from writers in Asia (and includes Singapore writers Ovidia Yu and Tan Hwee Hwee). I didn't contribute any short story, but the publisher wanted to include a poem of mine, as an introduction to the book. In fact, the title of the book - "Gazing at Stars" - is taken from that poem. Gazing at Stars does not reproduce the short stories in their original form. Instead the language has been simplified. That's because the book is part of an international series of books intended to help non-native English speakers to read more and learn the language. However, as the book is graded Level 6 (the highest level in the series), it makes good reading even for those who regard English as their first language. What Do You Think of the Election Results?